Energy prices took a nosedive on the stock market last week and gas prices are declining as a result. Florida gas prices are 4 cents more than this time last week, but pump prices are quickly moving lower. The state average rose 7 cents early last week, then declined by a penny per day, each of the last three days. Florida gas prices averaged $2.65 on Sunday; a 20 cent increase from a month ago, and 37 cents more than this time last year. Crude oil plunged to its lowest price of the year, last week, dramatically reducing the cost of producing gasoline.Friday’s closing price of $59.20/b is down $6/b from the week before, and the lowest daily settlement since December. The downturn for energy prices began on Wednesday, when the EIA’s weekly report revealed significant gains in domestic production and inventories. Domestic oil production surged to 10.25 million barrels per day – a new record for weekly production. This was the first time U.S. output exceeded 10 million barrels a day since 1970. As crude production roared higher, U.S. crude inventories swelled by 1.9 million barrels. This was the 2nd consecutive week of inventory gains, after declining 11 weeks in a row. At 420.3 million barrels, domestic oil supplies are 0.5 percent higher than a week ago, but remain 4 percent lower than this time last year. Regardless, the inventory growth was one of the fundamental reasons for the oil price drop. Gasoline futures lost significant strength last week, dropping 15 cents to $1.70 on Friday. Since hitting a multi-year high of $1.93 on January 29, futures gasoline dropped a total of 23 cents. GasPrices.AAA.com – Daily national, state, and metro gas price averages. AAA Mobile app – Free app that shows current prices at a gas station near you. National: the highest average price for gasoline was $2.67 on September 8. The lowest was $2.23 on July 5. Florida: the highest average price in was $2.73 on September 9. The lowest was $2.13 on July 17. Georgia: the highest average price was $2.76 on September 12. The lowest was $2.08 on July 5. Tennessee: the highest average price was $2.60 on September 10. The lowest was $1.99 on July 5. 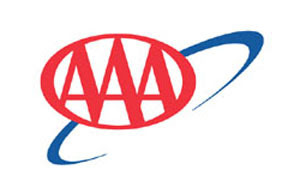 AAA updates fuel price averages daily at www.GasPrices.AAA.com. Every day up to 130,000 stations are surveyed based on credit card swipes and direct feeds in cooperation with the Oil Price Information Service (OPIS) and Wright Express for unmatched statistical reliability. All average retail prices in this report are for a gallon of regular, unleaded gasoline.